Everything has been moving so fast, it is already October! With two of our module classes ending, Julia and I are busy working to finish papers and readings. One paper down and another to go before the week is up. However, though we are disciplined in our studies we still can enjoy our new friends and environment, in Scotland. Our weekly trips with Jimmy and Helen have recently taken place, allowing for Julia and myself to see more of Scotland. Last week, Jimmy and Helen took us to Bannockburn. Here, Julia and I got to go through a 3D tour involving the historical facts of the battle. It did not stop there, however, at the end of the tour, they divided us into two groups as they lead us into the battle room. Inside the battle room, I was honored to be crowned King of Scotland, for this virtual battle. My opponent was none other than the Queen of England, who just so happened to be Julia. My defeat, to Queen Julia in the Bannockburn battle simulation just proved the strategic mastery of Robert the Bruce. 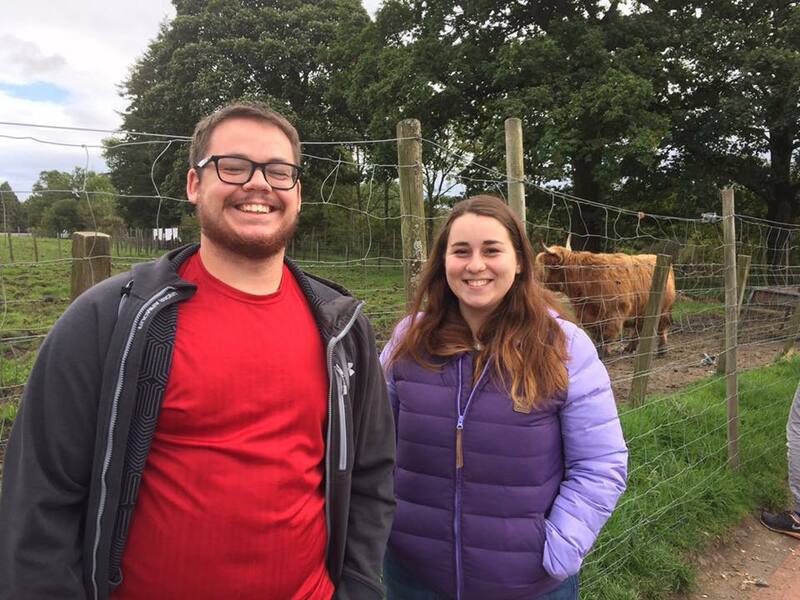 After visiting the battlefield, Jimmy and Helen took us to a section of the Antonine Wall, the furthest North point of the Roman Empire. Unexpectedly, the ruins of this wall is not really anything to resemble what was a wall, however, it resembles a large ditch. There is believed to be a wooden fence at the top of the ditch. With traveling and homework our schedules seem to be packed, however, we manage to always fit time into fellowship with our new friends in the congregation through gathering together, Kids Club, or CY. This past Friday, CY went to the go-kart track! That was a rush! Overall, I placed 7th out of 18, and Julia finished right behind me. For the past few weeks, Jordan and I have gotten to help out with Kids Club. With the help of others, Jordan usually does the games and I do the craft. This past week, because Beth was gone in America, Jordan told the story. This week the kids learned about the angel Gabriel and his appearance to Mary, proclaiming that she would have a son. The kids really engaged and answered questions well. Helping with Kids Club has been really good, but it really struck me this weekend how beneficial it has been to me. Going into Kids Club every week, I usually had an attitude of “What can the kids learn?” but I have come to realize that it’s just as important for me to ask “What can I learn from the kids today?” One thing that really stood out to me was the seeds of faith being sown in the lives of these young kids. Many receive these truths with open arms, and clearly grasp some really big concepts. Something I’ve noticed is that kids are a lot better at trusting. They have a seemingly easier time in trusting God, His Word, and those who tell them about the truths of God. It is encouraging to see people accepting the truth of God without always having to ask “why?” While doing the craft with the kids, they asked really good honest questions about angels. It’s always good answering questions of children, because you have to articulate what you believe very simply. I am so thankful that we are able to partake in a vibrant church body, with activities throughout the week! ​Wow, this past week was a handful! It all started, on an island far away from home with two people who I do dare call my new friends. The three of us set off on a wonderful adventure! So, we gathered ourselves and away we went, to Loch Lubnaig. On the way, we stopped and observed these majestic creatures. Everything they did was astonishing! 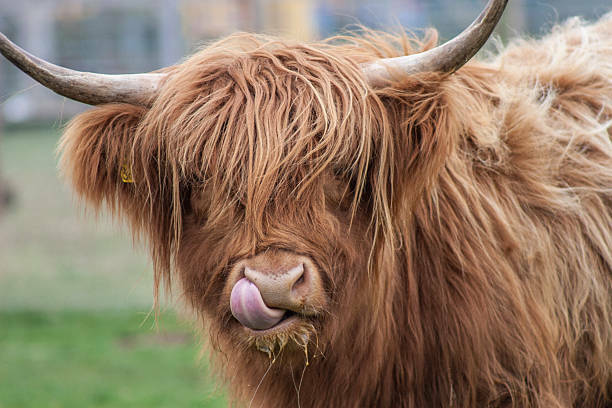 That is right, you guessed it… Highland Cows!! With our journey continuing we stopped at Loch Lubnaig for coffee, food, and to enjoy the nice scenery. Everything was going so well until Julia took “shotgun” on the way back. At this moment, I ripped my shorts! However, this was child’s play in the realm of bad news compared to what was to come later that week. Yes, the day, unfortunately, came when one of my friends left, gone for two weeks on holiday. Sad, sad times to come upon Julia and me. This, however, was counteracted by the guest appearance of our Life of Paul professor Rev Stephen McCollum. Let me tell you, that this man knows his stuff. Julia and I were engaged in an intense three-day session of long hours with Stephen on the life and works of Paul. I have not been disappointed at all with the classes here on the program! 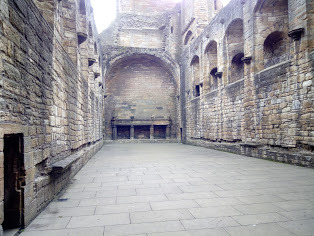 To cap off the week Julia and I took another adventure with Jimmy and Helen today to Linlithgow Palace, the birthplace of Mary Queen of Scots. I have loved my time so far here in Scotland, especially with the people that are surrounding me within the church and the program. Needless to say, this week was INTENSE!